Last week, we learned that hedge funds and systematic traders were dramatically underexposed. Now it appears that trading volume is falling hard. Thus, traders appear to be concerned and maybe it's time for a retest. 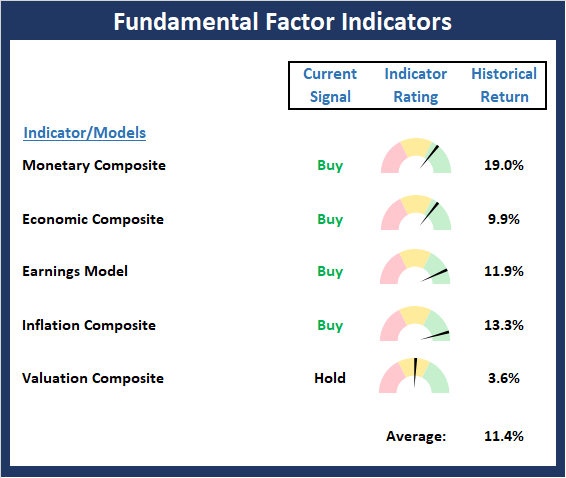 Last week, we reviewed Marko Kolanovic's research showing the positioning of hedge funds and systematic traders. The bottom line here is the equity exposure of these managers continues to be at very low levels relative to history. But with the stock market indices a chip shot away from all-time highs, the question is why are these traders so underexposed to the big rebound in stocks? Some argue that investor anxiety is to blame on both fronts. Uncertainty about a tenuous economic backdrop, trade talks, earnings, mutual fund outflows, and the political landscape could be causing some angst - and keeping investors from chasing the current run for the roses. 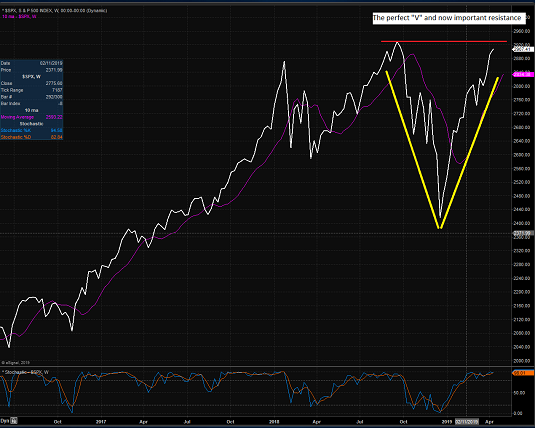 A third reason that investors may be exhibiting some caution here is the current state of the charts. In short, after a very rare and very perfect "V" bottom, the major indices are now bumping into what technicians tell us will be an important (as in, very important) resistance zone. As such, we should expect, at the very least, a pause in the action as traders "test" this area of resistance. But hasn't it been the "expectations" of what will come next in Ms. Market's game that is really behind the hedgies being on the wrong side of the trade? Hasn't it been "prudent" to be cautious since December 24th? And hasn't the market made a mockery of both ideas for the past 4 months - and past 560 S&P points? It is also worth noting that the vast majority of the downside debacle occurred in rapid fashion between 12/3 and 12/24. Recall that the S&P 500 plunged -15.9% during that 13.5 day stretch. Thus, to those keeping track of such things, the move qualified as a "waterfall decline." Every manager who has been around awhile knows that when a market experiences a "waterfall decline," the trading tends to follow a familiar pattern in the coming months. As the "crash playbook" tells us, first there is a bounce of the dead cat variety, then a retest of the lows (which can take many forms), a basing period (to make sure the worst is over), and finally, a resumption of the uptrend. Therefore, just about everybody in the game has been looking for a retest phase since about mid-January. The reason that retests occur is rooted in psychology and human emotion. You see, usually, the initial reason for the big decline rears its ugly head again at least a time or two in the months following an emotional low. And when it does, the selling tends to resume - at least for a while. Sometimes, the lows are tested. Sometimes, they break. Oftentimes they don't. But at the very least, stocks usually pull back as some fear returns for a spell. But this time around, the crash playbook turned out to be useless. The market's problems were cured tout suite as the Fed caved and the administration figured out that they'd best get a trade deal done - now. Thus, there has been no retest. There has been no resurrection of the reasons for the decline. No, now it's all about future expectations and brighter days. So, at some point, the current rally will pause (during the "Sell in May" period, perhaps?). At some point, stocks will pull back a bit (and perhaps test the seemingly all-important 200-day moving average?). And at some point, an entry point that so many have been looking for in 2019 will appear. However, given the strength of the move and the readings seen on our Fundamental Factors board, I'm of the mind that any pause in the action, any pullback, or any "testing" will prove temporary as all the underinvested folks decide that new highs will be their "sign" to get back in the game. There were no major changes to the "Primary Cycle" board this week. However, there was some improvement in the readings of the Risk/Reward and Global Risk models as both are now solidly positive. 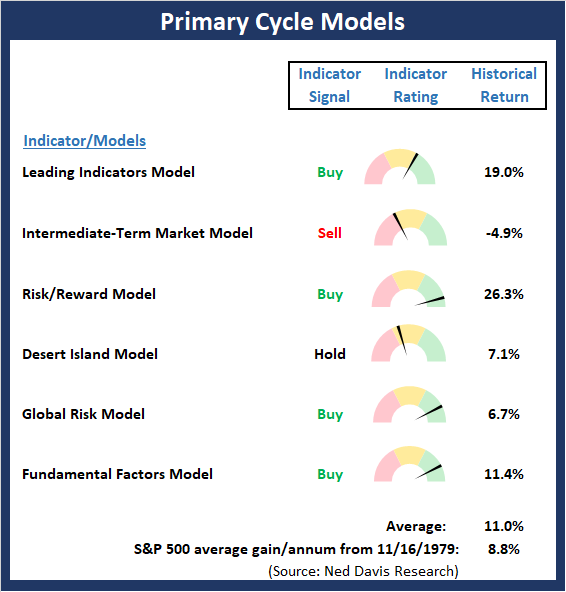 Our Intermediate-Term Market model remains stubbornly concerned about the overbought condition and sentiment readings and my "Desert Island" model also appears to be a bit out of sync with the current environment. But the bottom line is the average historical return of the board is well above the historical mean. This week's mean percentage score of my 6 favorite models advanced to 65.7% from 58% last week (Prior readings: 49.5%, 47%, 50%, 47.9%, 45.4%, 40.3%) while the median improved to 74.2% from 65.9% last week (Prior readings: 50%, 50%, 50%, 50%, 46.3%, 42.5%). 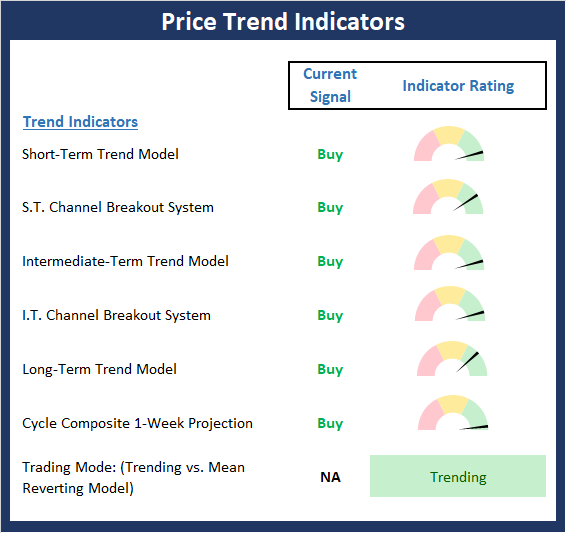 The Price Trend board has scored perfect 10.0 for a second week. Sometimes it is best not to overthink things as the trend is obviously an investor's friend here. The Momentum board is also in very good shape. 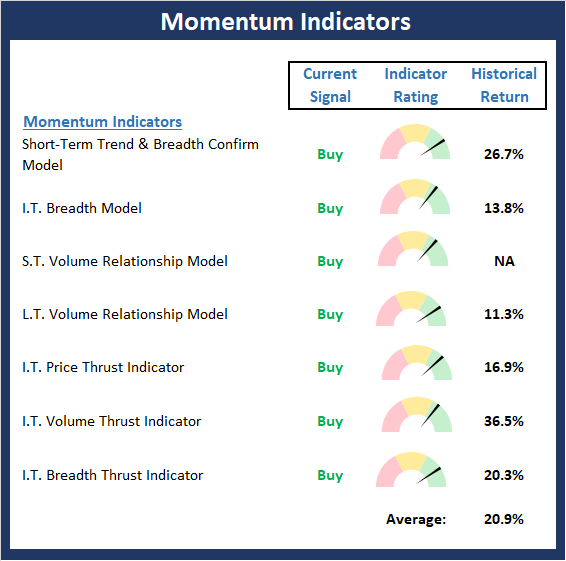 And with the board also scoring a perfect 10.0, momentum confirms the message from the trend indicators. As I've been saying, the big takeaway from the strong momentum readings is this remains a buy-the-dip environment. While the Early Warning board is not overtly negative at this time (which would indicate that the odds strongly favored the bears), the board does continue to effectively wave a yellow flag. So, I'm going to repeat what I said last week and opine that the table is now "set" for the bears. 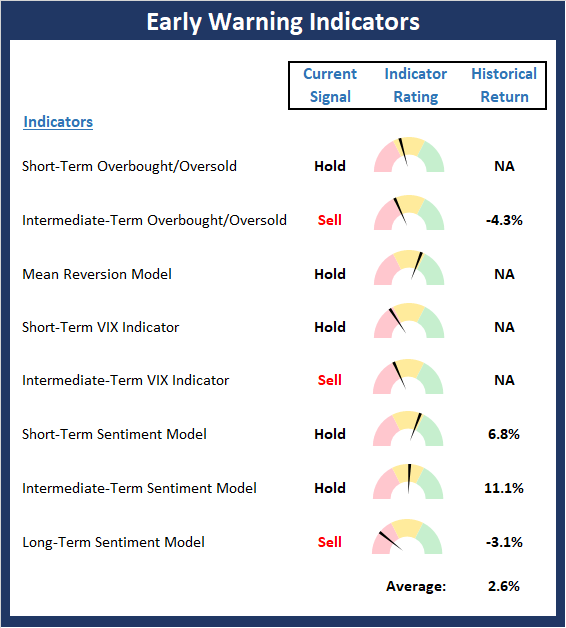 However, as is often the case with mean reversion indicators, it looks like a bearish trigger will be needed to create anything more than a modest setback in the near-term. There were some modest internal improvement to the Fundamentals board this week. Specifically, the Monetary Composite continues to advance. As I've been saying, the bottom line here is I believe the Fundamental board continues to favor the bulls.